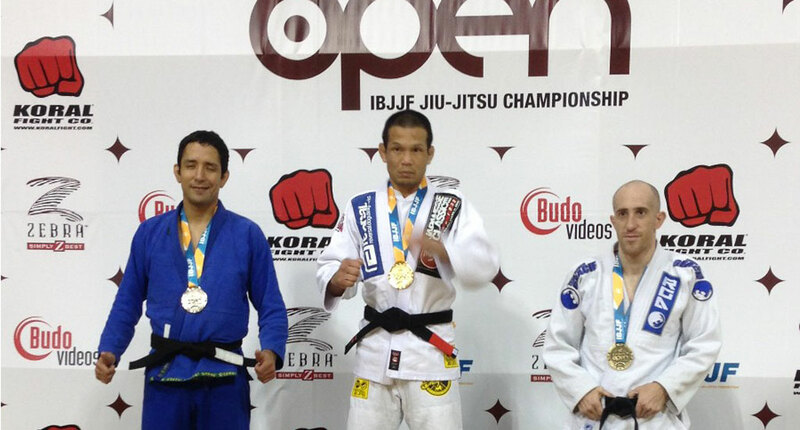 One of the main American figures in Jiu Jitsu and Submission Wrestling tournaments at the turn of the millennium, the Hawaiian Baret Yoshida is an ADCC medallist and World No Gi Champion who earned his black belt training under Egan Inoue guidance, having fought against the elite of BJJ with some very solid wins – such as his win over Alexandre Soca (2001). those aforementioned accomplishments together with his exquisite use of the guard, quickly made Baret a worldwide fan favourite. Baret Yoshida also competed in MMA (Mixed Martial Arts) becoming an important grappling coach at the same time; he is also a published author with a grappling book and DVD that were very well accepted by the community. Baret Yoshida was born in Hawaii, United States on the 26th of April, 1975. He started training Jiu Jitsu in 1994 at Relson Gracie’s academy, one of the oldest and most established academies in the region. He trained under the Gracie for a number of years, achieving his purple belt with him. In 1999 however, he decided to switch camps and move to the Inoue brother’s gym, led by Egan and Enson “Yamato Damashii” Inoue. 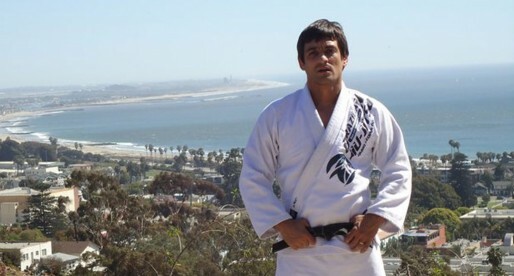 Though Baret already had important wins at an international stage in the lower belts, it was his participation in the 1999 ADCC (Abu Dhabi Combat Club) that put Yoshida’s name on the map. Baret Yoshida had fought on the trials and made it to the final, though he lost. 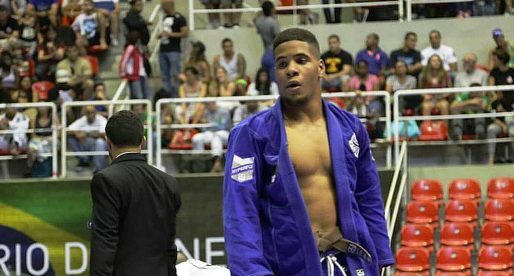 He was called to the finals as an alternate because one of the competitors had injured himself and could no longer compete. In that tournament, the younger and less experienced Baret gave a very tough challenge to one of the most dominant fighters to have ever competed, Royler Gracie. Yoshida lost a chance to medal, but he gained a legion of fans, and was invited into the tournament in the following years. In those tournaments, Yoshida would solidify his name as one of the best Nogi competitors in the world medalling on 3 occasions in arguably the toughest submission wrestling tournaments in the world. An admitted admirer of the Nogi game, Baret decided to also taste the feel of Mixed Martial Arts action. He has had somewhat of a mixed record, fighting mainly big names such as Jeff Curran and Masahiro Oishi. After a long list of achievements, including a silver medal at the world’s most challenging Nogi competition, Egan Inoue awarded Baret Yoshida his black belt in BJJ, in 2002. If I recall correctly, it was in the ADCC 2000 and not the 1999 ADCC that Baret faced Royler. He lost his first match to Royler, and sunk in a really tight armbar that Royler escaped. Baret submitted Megaton in ADCC 1999 and fought in the Absolute as well. 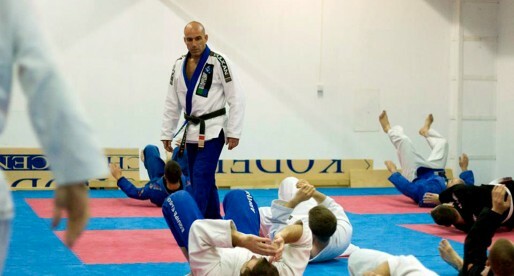 Notable achievement by Baret was tapping out black belts when he was a blue, and one such black belt was Vitor 'Shaolin'. Also that he has been training Judo that specialized in groundwork for longer than a decade before taking Jiu-Jitsu. Are you going to put profiles on Egan Inoue i think he deserves one since hes the first american to ever win a mundials at any belt color.ALso John Lewis? Thanks Baret. I'll change that for you. Aloha baret how u doing? Hope all is well. Wish'n u happy holidays! Take care God bless my friend!